This report is the third in a three part piece on Bitcoin economics. In the first piece, we looked at common misconceptions with respect to how banks make loans and the implications this has on the ability of banks to expand the level of credit in the economy. We analysed the inherent properties of money which ensure that this is the case and evaluate the impact this could have on the business cycle. In part two, we considered why Bitcoin might have some unique combinations of characteristics, compared to traditional forms of money. We explained the implications this could have on the ability of banks to engage in credit expansion. In this piece (part three), we examine the deflationary nature of Bitcoin and consider why this deflation may be necessary due to some of Bitcoin’s weaknesses. We also look at how Bitcoin could be more resilient to some of the traditional economic disadvantages of deflation than some of Bitcoin’s critics may think. One of the most common critiques of Bitcoin and related crypto-coin systems, is the supply cap (in the case of Bitcoin 21 million) and the associated deflationary nature of the system, which could be damaging to the economy. Critics have argued that history has taught us that a finite monetary supply can be a poor economic policy, resulting in or exacerbating, economic crashes. Either because people are unwilling to spend appreciating money or because the real value of debt increases, resulting in a highly indebted economy. Bitcoin proponents are often called “economically naive”, for failing to have learnt these economic lessons of the past. 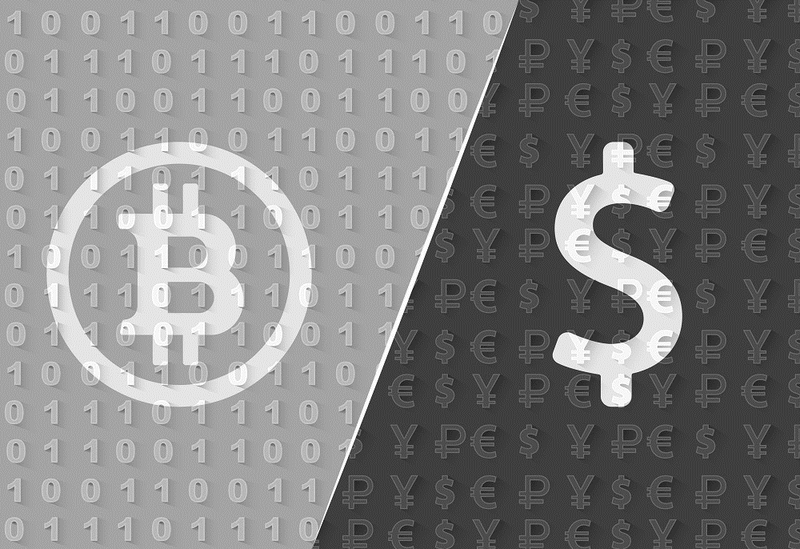 In this third piece on Bitcoin economics, we explain that the situation may be more complex than these critics think, as Bitcoin is fundamentally different to the types of money that came before it. There may be unique characteristics about Bitcoin, which make it more suited to a deflationary policy. Alternatively, limitations or weaknesses in Bitcoin could exist, which mean that too much inflation could have negative consequences not applicable to traditional forms of money. In our view, these issues are often overlooked by some of Bitcoin’s economic critics. The supply of central bank notes can easily expand and contract. For a positive demand shock to bank notes (shifting from consumption/investment to money: i.e. it is a deflationary shock), the central bank increases money supply by buying securities and foreign currencies. For a negative demand shock to bank notes, the central bank absorbs money in circulation by selling securities and other assets. In case of [Bitcoin], the latter operation is not included in its protocol. That is to say, the cryptocurrency protocol usually includes the currency supply rule, but does not have a currency absorption or write-off protocol. Can we reduce this irreversibility? More broadly, a hard supply cap or built-in deflation is not an inherent strength for a would-be money. A money’s strength is in its ability to meet society’s needs. From my perspective, Bitcoin’s built-in deflation means that it does a poorer job than it might at meeting society’s needs. Maybe I will be proven wrong. We shall see. The currency’s “money supply” will eventually be capped at 21m units. To Bitcoin’s libertarian disciples, that is a neat way to preclude the inflationary central-bank meddling to which most currencies are prone. Yet modern central banks favour low but positive inflation for good reason. In the real world wages are “sticky”: firms find it difficult to cut their employees’ pay. A modicum of inflation greases the system by, in effect, cutting the wages of workers whose pay cheques fail to keep pace with inflation. If the money supply grows too slowly, then prices fall and workers with sticky wages become more costly. Unemployment tends to rise as a result. If employed workers hoard cash in expectation of further price reductions, the downturn gathers momentum. Our current global system is pretty crap, but I submit that Bitcoin is worst. For starters, BtC is inherently deflationary. There is an upper limit on the number of bitcoins that can ever be created (‘mined’, in the jargon: new bitcoins are created by carrying out mathematical operations which become progressively harder as the bitcoin space is explored—like calculating ever-larger prime numbers, they get further apart). This means the cost of generating new Bitcoins rises over time, so that the value of Bitcoins rise relative to the available goods and services in the market. Less money chasing stuff; less cash for everybody to spend (as the supply of stuff out-grows the supply of money). So to the extent that the experiment [Bitcoin] tells us anything about monetary regimes, it reinforces the case against anything like a new gold standard – because it shows just how vulnerable such a standard would be to money-hoarding, deflation, and depression. While Bitcoin has managed to bootstrap itself on a limited scale, it lacks any mechanism for dealing with fluctuations in demand. Increasing demand for Bitcoin will cause prices in terms of Bitcoin to drop (deflation), while decreasing demand will cause them to rise (inflation). What happens in each of these cases? Let’s start with deflation, because right now demand for Bitcoin is on the rise. What do people do when they think something’s value will be higher tomorrow than it is today? Well, they acquire and hold on to it! Who wants to give up money that’s constantly rising in value? In other words, rising demand causes demand to rise further. Irrational exuberance at its finest. Deflation begets deflation, ad infinitum, or at least until something breaks. Many economists have been debating the advantages and disadvantages of inflation for decades. Nevertheless, this primary point of contention is one of theory; economists, from differing schools of thought have a variety of views on the topic. It is fair to say that the current economic consensus is that deflation is an undesirable economic phenomenon, while moderate inflation of around 2% per annum is desired. Those with Austrian school leanings, who oppose centrally managing inflation towards a certain positive target, tend disproportionality to support Bitcoin and gold’s somewhat deflationary nature. One of the primary drivers for the negative view on deflation appears to be the 1929 great depression and the idea of a deflationary debt spiral. The theory is that during a period of economic recession and deflation, the real value of debt increases. Such an increase compounds the misfortunes of an already weak economy. Economist Irving Fisher is often credited with formulating this theory, as a response the financial crises of 1837, 1873 and the 1929 great depression. Complicated disturbances in the rates of interest, in particular, a fall in the nominal, or money, rates and a rise in the real, or commodity, rates of interest. Is deflation as bad as these critics claim? To the extent that critics accuse Bitcoin supporters of being economically naive, they may not always be entirely correct or they could be missing some nuances. Firstly, one does not need to be an Austrian economist to question whether deflation (supply cap) is always undesirable. Deflation could be bad in some circumstances, but it may depend on the characteristics of the economy and the type of money used in society. The social sciences are not like maths or computer science, nobody really knows the right answer to a high degree of certainty and opinions in the academic community change over time. Furthermore, economic circumstances can change over time, which can result in a different set of dynamics, where different inflation policies are optimal. Therefore a hard rule, fixed for all time, such as “deflation is always bad”, may not be the correct philosophy. For example, maybe Fisher’s view on inflation was correct for the economy in the 20th century, however by 2150 technology may have fundamentally changed to such an extent, such that another inflation policy may be more appropriate for society. As we explained in part 1 and part 2 of this piece, Bitcoin possesses properties which are fundamentally different to the traditional money used in the economy such as the US Dollar or gold backed systems. Traditional money, such as the US Dollar are based on debt, which is an inherent property of fiat money. Alternatively Bitcoin may have properties which make it resilient to credit expansionary forces, such that the money is not inherently linked to debt. Therefore in the event of an economic crash and deflation, in a Bitcoin based economy, the impact of increases in the real value of debt could be less significant than one may think. This could make the deflationary debt spiral argument less relevant in a Bitcoin based economy. In our view, it is likely that many of the Bitcoin critics may have overlooked this point when evaluating the disadvantages of Bitcoin’s deflationary monetary policy. Arbitrary environmental damage – Another common criticism of Bitcoin is the environmental damage caused by the energy intensive mining process. Although as we explained in the second part in our series on mining incentives, this issue could be overestimated since miners have a uniquely high level of choice with respect to the geographic location of their mining operations. This flexibility could reduce environmental damage as miners may use failed energy projects rather than investing in new ones. However, it is still important to note that, the negative environmental damage caused by Bitcoin does seem to be a significant negative externality. Mining incentives are made up of transaction fees and the block reward (inflation). Therefore increasing inflation increases the level of environmental damage and increases the negative externality. If a 2% inflation policy is decided upon, this could mean at least 2% of the value of the system is spent “damaging” the environment per annum. The inflation policy decision is somewhat arbitrary and the more inflation is selected the greater the extent of environmental damage. There may even be parallels here with the existing financial system. The policy of central banks to stimulate the economy, to achieve their inflation targets, could also be said to cause an arbitrarily high level of environmental damage, at least in the eyes of some critics. Although the link between inflation and environmental damage in a Bitcoin based system is more direct and measurable. Instead of continued inflation, in Bitcoin the block reward halves every four years until mining incentives are driven entirely by transaction fees. This means that the level of environmental damage will be driven by the market, in that it could represent the amount that users are willing to pay for security, rather than an arbitrarily high level of environmental damage which would be the result of an inflationary monetary policy. Aligning the interests of miners and users – Miners are currently primarily incentivised by the block reward rather than transaction fees. This results in a number of potential problems in the ecosystem, for example perhaps the interests of miners and users are not well aligned. Miners could, for example, exclude transactions from blocks, against the interests of users. Miners may be less likely to take this kind of action if they are primarily incentivised by transaction fees, something Bitcoin’s deflationary policy ensures will eventually become reality. Inability to generate coin value – The supply cap can be considered as a key selling point of Bitcoin for investors and is likely to have helped generate investor interest which may have been necessary to bootstrap the system. If a perpetual inflationary policy was chosen, Bitcoin may not have been able to succeed to the extent it has, even if the deflationary policy is inferior from an economic perspective. Much of this discussion focuses on the economics of Bitcoin, assuming Bitcoin is widely adopted, such that the inflationary dynamics have an impact on society. In our view this is an unlikely outcome and perhaps should be considered even more unlikely by Bitcoin’s critics. In our view, Bitcoin may satisfy a useful niche, that of making both censorship resistant and digital payments, but it’s unlikely to become the main currency in the economy. Therefore the debate about Bitcoin’s deflationary nature should be considered as largely irrelevant anyway. Hence it is therefore somewhat odd that some critics use this as an argument against Bitcoin. So let’s talk both about whether BitCoin is a bubble and whether it’s a good thing — in part to make sure that we don’t confuse these questions with each other. Perhaps Satoshi thought that having a finite supply cap and a deflationary bias, may help the system succeed, even if from society’s point of view, moderate inflation would be more utilitarian. From a system design perspective, producing a working payment system should be the priority, since a system which does not succeed, even if it’s hypothetically beneficial to society, is ultimately useless. We conclude that rather than being driven by economic naivety, some Bitcoin supporters may have had a more nuanced understanding of the relationship between debt, deflation, the properties of money and credit expansion than the critics think. In contrast one could argue it’s the economic mainstream’s lack of understanding of the relationship between money and debt, and the potential ability of Bitcoin to somewhat decouple the two, which is the most prevalent misunderstanding. Indeed to many, Bitcoin’s ability to decouple debt from money and thereby result in a deflationary climate without the deflationary debt spiral problem is the point, rather than a bug. However, even if Bitcoin has solved this economic problem, perhaps it’s naive to think Bitcoin would result in a more prosperous economic system. Bitcoin is a new and unique system, which is likely to cause more economic problems, perhaps unexpected or new ones. After all there is no perfect money. It just may not be correct to apply the traditional economic problems of the past, to this new type of money. Although it may be more difficult, identifying Bitcoin’s potential economic problems may require more analysis and a stronger understanding of the underlying technology. Ironically, if one thinks these economic problems associated with deflation have a remote chance of being relevant, like the critics indirectly imply, that would mean Bitcoin has a significant chance of becoming widely adopted and hugely successful. In that case, perhaps the sensible thing to do is buy and “HODL”.